For those short on time or kayaking experience, taking our company motor vessel out to Cabana Desolation Eco Resort can save the stress! Some of our guests choose to take the company motor vessel to and/or from Cabana Desolation Eco Resort. 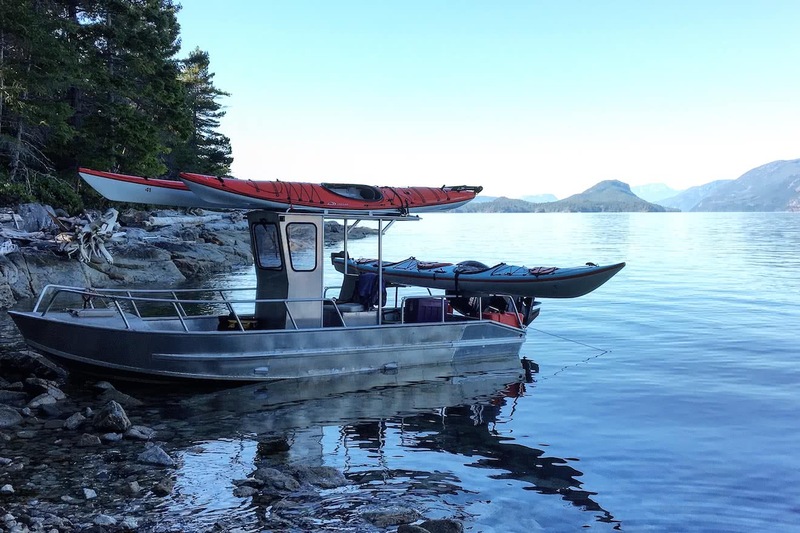 Whether you’re short on time, unsure about the paddling distance, or simply not interested in kayaking at all, this may be a good option for you. 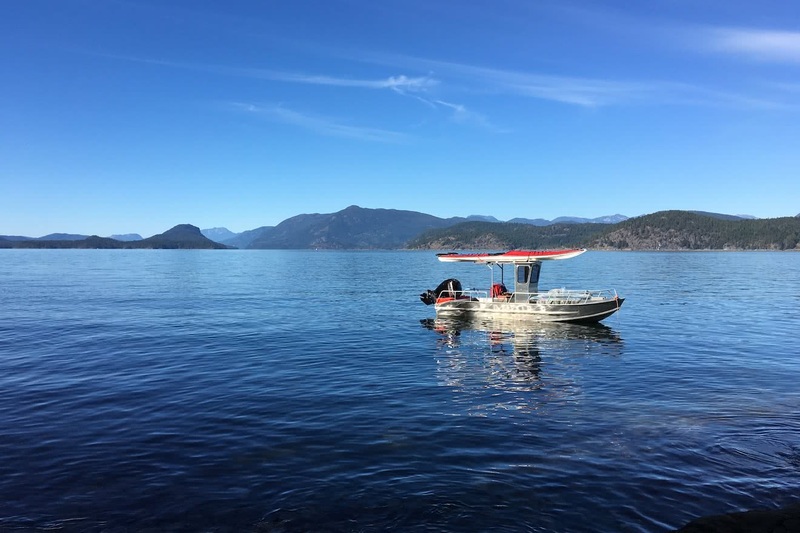 This option cuts the usual 8 nautical mile paddle down to a quick and scenic 20 minute boat ride between our office location in Okeover Inlet, and the resort located on Kinghorn Island, in the heart of Desolation Sound. Motor vessel access is available for both our Guided and Chill & Immerse Packages for $50 per person, each way. Kayaks will be provided for your use to paddle from the resort regardless of which package you choose. If you are considering the motor vessel transport option, please read the relevant section of our pre-trip document. This elaborates on the above points and gives a rundown of the itinerary we need to maintain on busy ‘changeover’ days.